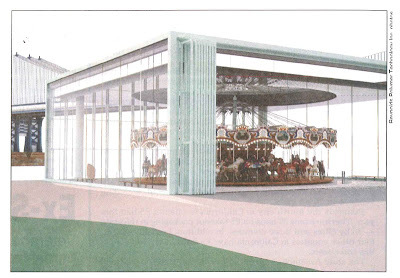 An 89 year old carousel is rescued and a beautiful see-thru shelter with acrylic panels is built around it! Some of these panels are up to 27ft tall and average about 3ft wide. The entire top is clear - you can see the bridge in the backdrop.